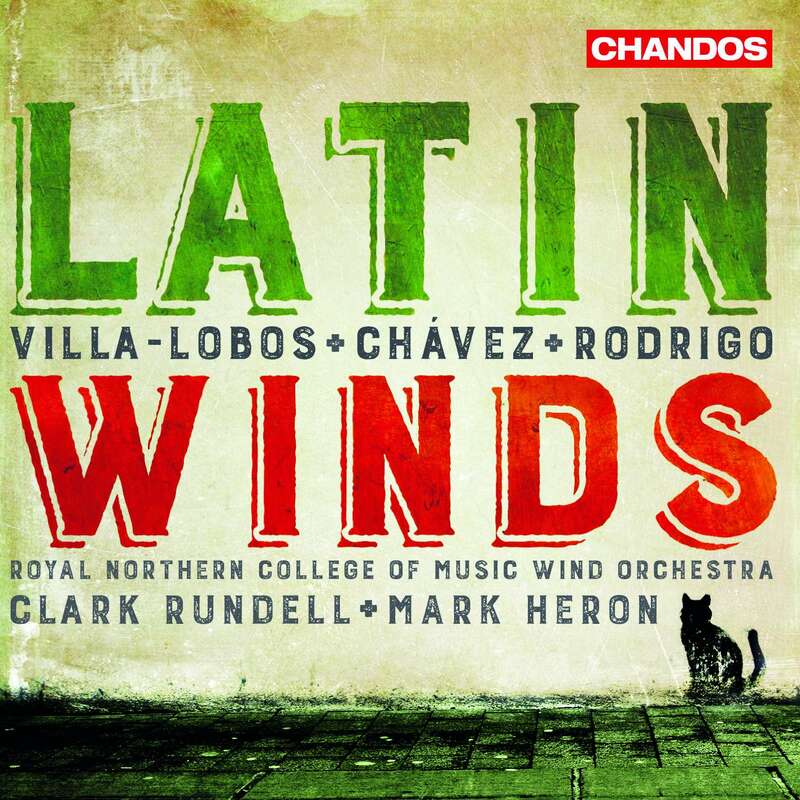 and some never recorded, featuring a mix of music from renowned composers, Villa-Lobos, Chavez and Rodrigo. Per la flor del lliri blau is a large-scale piece with bright brass fanfares, determined bass lines and long, mournful melodies. Beautiful solo playing contrasts with epic sweeps of sound, military pastiches and thick, chaotic passages. I loved this piece and, though I would have liked more sound when the band was in full voice, the precision of the recording is fantastic. Huge bass themes, fantastic development of material and wonderful scoring all make this a very special work. Villa-Lobos composed his Fantasy in Three Movements for a huge band (six bassoons and two contrabassoons, for instance). A shimmering, sparkling opening gives sheen to a woody depth that sets troubled solo passages in context. of touch, warmth and real feeling too. The Adagio is quintessential Rodrigo from the very start. A series of solo lines are played beautifully - loving and heartfelt. Stunning harmonic shifts and a series of differing sound worlds precede an exciting, slightly discordant allegro that plays out a quasi-military drama. The piece closes with some of the opening material given to different soloists, to give a profoundly melancholy close. This should be a staple of the repertoire and this recording has set a very high bar of quality. by Carlos Chavez - a work made up of three stand-alone pieces. These are frequently hilarious, tongue-in-cheek marches imbued with a sense of fun and pastiche. There are riotous touches and the band plays with great character. Conductors, Clark Rundell and Mark Heron, have achieved another remarkable success with this recording. They have combined maturity with all the better natures of this young wind orchestra. High-quality playing, soul and ebullient fun are combined under their world-class direction to give us consistently stunning performances.